The Mole broke the story about how fake postings were circulated in Whassap chatrooms and posted in Facebook accounts. 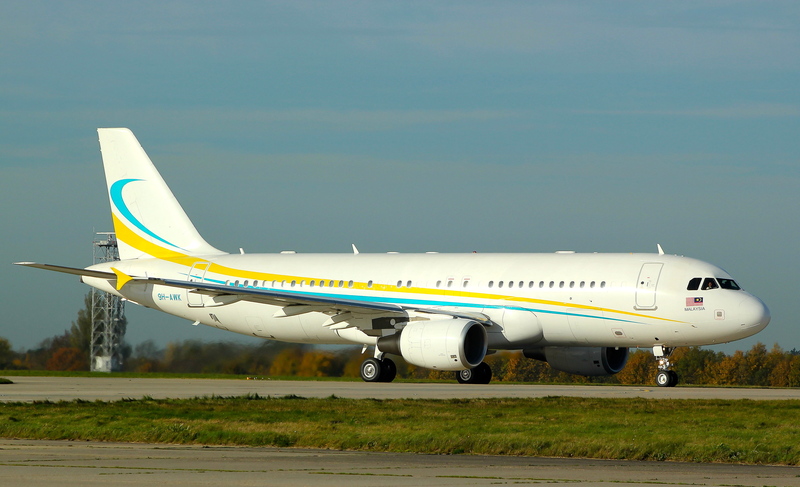 It is suspiciously look like a psy-war approach, to deflect the original story about the Malaysian Government probably leased a ACJ320 VVIP executive jet from a Malta-based charter, which drew so many attention. 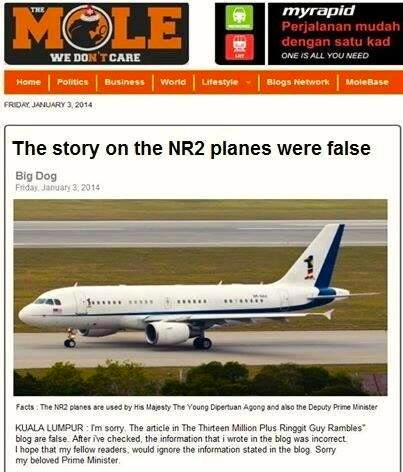 The fake Mole posting about “BigDog admitting the ACJ320 story is a lie”. It only takes a few seconds to realise the posting was a fake. That is with standing the fact that there is no checking made whether or not the story appeared in the blog-aggregator-portal. The Mole editors would have not allowed such poor English be published. So too the purportedly Datuk Ahirudin “Rocky Bru” Attan’s tweet. The pathetic bit is that these two fake items were issues posted/circulated in Facebook and Whassap, by media practitioners who are believed to be aligned to one of Prime Minister Dato’ Sri Mohd. Najib Tun Razak’s media aide. It is not charged that they had any ill intent, when they raised the matter amongst themselves and like any materials appeared in social media network, its being shared and forwarded. Eventually, it became perpetuating a lie. 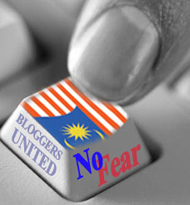 If these said bloggers and social media practitioners who are known to be amateur ‘cyber fighters’ on the Prime Minister Najib’s side, be it the Malaysian Government or the ruling party, are unable to distinguish between what seemingly presented with the intent of materials and angles discussed even though it may looked to be contentious and a manipulated story or lie, then it is rather worrying. Unless, those who are supposed to look into the social media and bloggosphere bit of Prime Minister’s Office communication team simply like the Boss are also complacent, if not obtuse. Then probably, the battle for 14GE on the media side has already been lost at this stage. In reality, the challenges from the perspective of wide range and in depth of material, angles of attack, quality of information and arguments presented and the speed and net working of the opponent are already enormously overwhelming without added points of the good command and flair of the written language.